These are the boats that evolved water sports as we know it. From the legendary Super Air Nautique G23, to the multi-sport GS22 - Nautique has become world renowned for producing the best wakes and surf waves in the industry. Innovation is the backbone to these boats, style and quality are the definition of the brand - together Nautique is unsurpassed in design and technology. See why Nautique is known as the best wake boat, and fall in love with the luxury refinements only found in a Super Air Nautique. The first time you set foot in this boat, you will know you're in something special. From the hull design, the sound system, the PCM performance engine, to the Nautique Surf System - there is a reason why this is the most popular boat in Wake Boat history. With inspirations from legendary Nautique Ski Boats, to the characteristics of a G- boat, the GS Series Nautique's provide performance at every level, no matter the water sport. With ample gear storage and plenty of room for friends and family, this boat was made to please. What sets Nautique above the rest? There are so many great features packed into every Nautique. We have selected just a few below. Set an appointment with one of our product specialists to learn all about your next Super Air Nautique, and see this boat in person - you won't regret it! 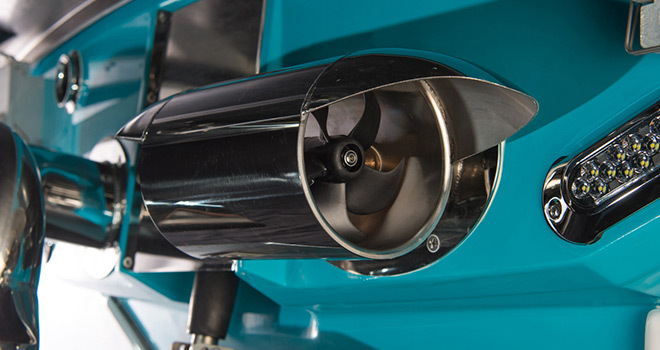 Over 40 years of experience is what goes into the engine compartment of every Nautique. The brand-new Integrated Steering Assist utilizes a thruster at the stern of our G-Series models for better maneuverability in tight quarters, around the dock or on the open lake. Quickly move the transom of the boat to the left or right, this functionality greatly improves the driving experience. Our team has designed the features in each Nautique with the end user in mind. That thoughtful approach to design has allowed for our boats to be the most comfortable, ergonomically correct and aesthetically pleasing wake and ski boats on the market year after year. All of that care by our team is so you, the boat owner, can truly enjoy your days on the water without a care in the world. There is nothing quite like throwing the rope back to the boat and experiencing wakesurfing for the first time. The feeling of surfing waves isn’t just made for the ocean anymore, with lakes and rivers turned into the perfect place for you to surf endless waves. The Nautique Surf System (NSS) has made everyone’s love for surfing more accessible than ever before, shaping up perfect waves for you and your friends to enjoy all summer long.